The Handa Cup isn’t as old as its male counterpart, but the U.S. teams in both are in precarious positions. The Handa Cup has been played every year since 2006. It’s not a biannual competition like the Ryder Cup. Like the Ryder Cup, however, the U.S. side dominated the competition early on, but now it’s a different story. After losing the first six meetings the Internationals managed a 24-24 tie at Reunion Resort in Orlando, FL., in 2012. That wasn’t good enough to claim the cup, named after Dr. Haruhisa Handa, a Japanese businessman and philanthropist, but the Internationals managed their breakthrough win last year, taking a 27-21 victory at Hermitage in Nashville, Tenn.
That didn’t sit well with Nancy Lopez, who was on the losing side as a player last year and will captain the U.S. in this Handa Cup. Sally Little, captain of the Internationals, isn’t so sure. Like Lopez, Little is serving as captain for the first time. Sweden’s Pia Nilsson captained the winning European side last year while Joanne Carner completed her second year directing the U.S. side. Kathy Whitworth handled those duties during the U.S. victory run from 2006 to 2011. The captains aren’t the only thing that’s different this time. 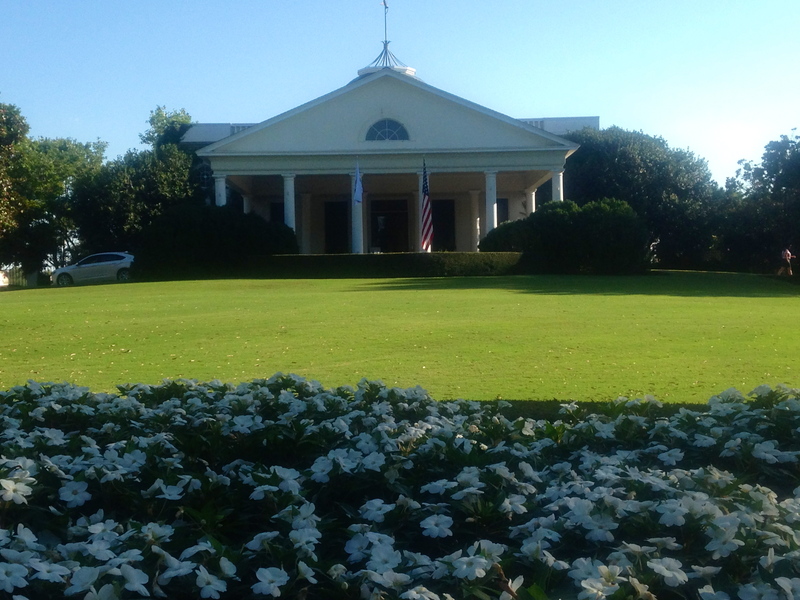 Old Waverly, a beautiful facility that hosted the 1999 U.S. Women’s Open and the 2006 U.S. Mid Amateur, should be a more familiar venue for the U.S. players – especially a most notable one. Juli Inkster, who won that U.S. Women’s Open at Old Waverly, is making her Legends debut at the Handa Cup after enjoying a brilliant career on the LPGA circuit. The Legends is for players who have reached their 45th birthday. Also known as the Country Club of Mississippi, Old Waverly was co-designed by Jerry Pate and Bob Cupp. The course opened in 1988 and a second course, to be designed by Gil Hanse, is in the planning stages. Joining Inkster on the 12-player U.S. team are Pat Bradley, Beth Daniel, Christa Johnson, Rosie Jones, Meg Mallon, Barb Mucha, Laurie Rinker, Nancy Scranton, Val Skinner, Sherri Steinhauer and Sherri Turner. Elaine Crosby is Lopez’ co-captain.. The Internationals roster features Helen Alfredsson, Jane Crafter, Laura Davies, Alicia Dibos, Wendy Doolan, Trish Johnson, Lorie Kane, Jenny Lidback, Liselotte Neumann, Allison Nicholas, Mieko Nomura and Jan Stephenson. Little’s co-captain is Dawn Coe-Jones. Inkster is one of three U.S. players who weren’t part of last year’s team, the others being Mallon and Skinner. Mallon, though, has played in the Handa Cup in the past. Doolan is the lone newcomer on the International side. In the biggest early season Legends events of the year Neumann won the Walgreen’s Charity Classic, Jones took the Wendy’s Charity Challenge and Rinker was the titlist in the Legends Championship. Trish Johnson also won a big one, taking the Ladies Scottish Open in August. Players on both sides played practice rounds at Old Waverly on Thursday morning, and participants in Friday’s Blue Cross Blue Shield of Mississippi Pro-Am tuned up on the course in the afternoon. Opening ceremonies are on tap for Thursday evening and pairings for Saturday’s team matches will be announced afterwards. Saturday’s program calls for nine holes of alternate shot competition in the morning and nine holes of best ball in the afternoon. Twelve singles matches are on tap for Sunday to conclude the competition. The singles pairings will be announced after Saturday’s play is concluded and closing ceremonies will be held after the last putt drops on Sunday.